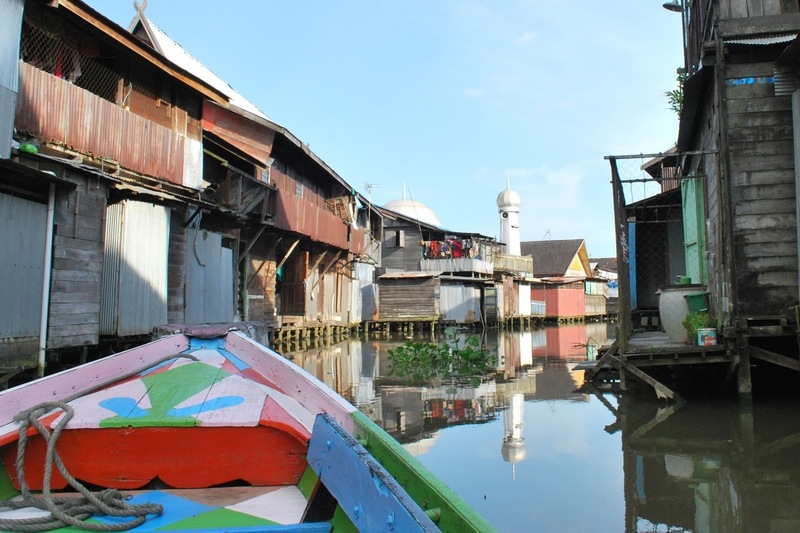 We spent two nights in a city called Banjarmasin on Indonesian Borneo. 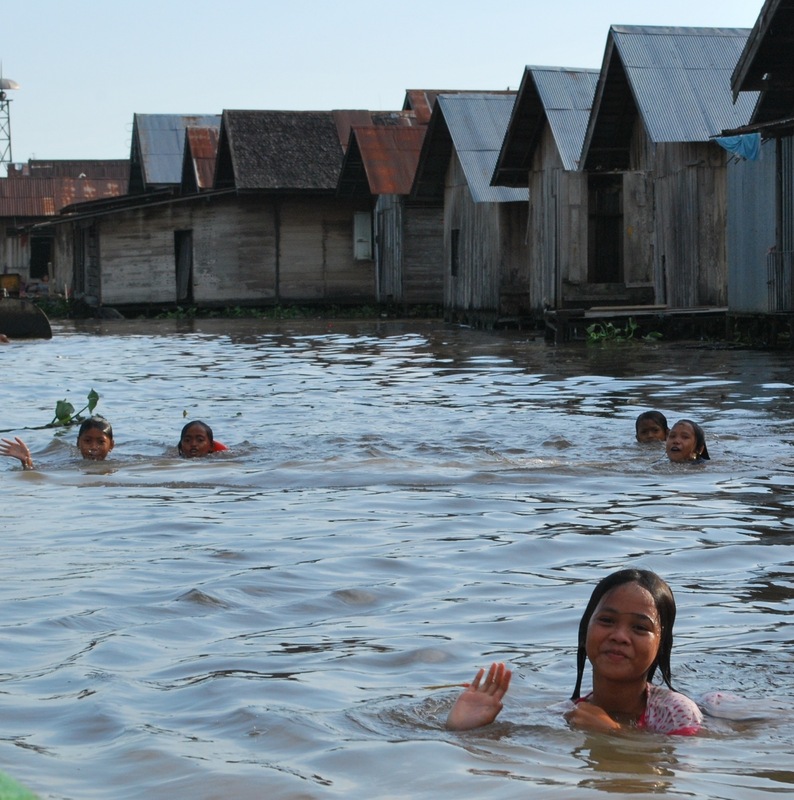 Banjarmasin is not, in all honesty, known for much and it seemed like a slightly depressing place on arrival. A long haired Indonesian guy was waiting in our hotel reception and eagerly approached us as we checked in telling us he spends all day every day ‘looking for tourists’. He thrust a business card outlining the different tours he offered into my hand and looked at us in anticipation. We told him we would call him and went upstairs to settle in to our room. I had a quick flick through the Lonely Planet and lo and behold there was half a page dedicated to this very tour guide, Tailah, who is a trekking expert in the surrounding areas. 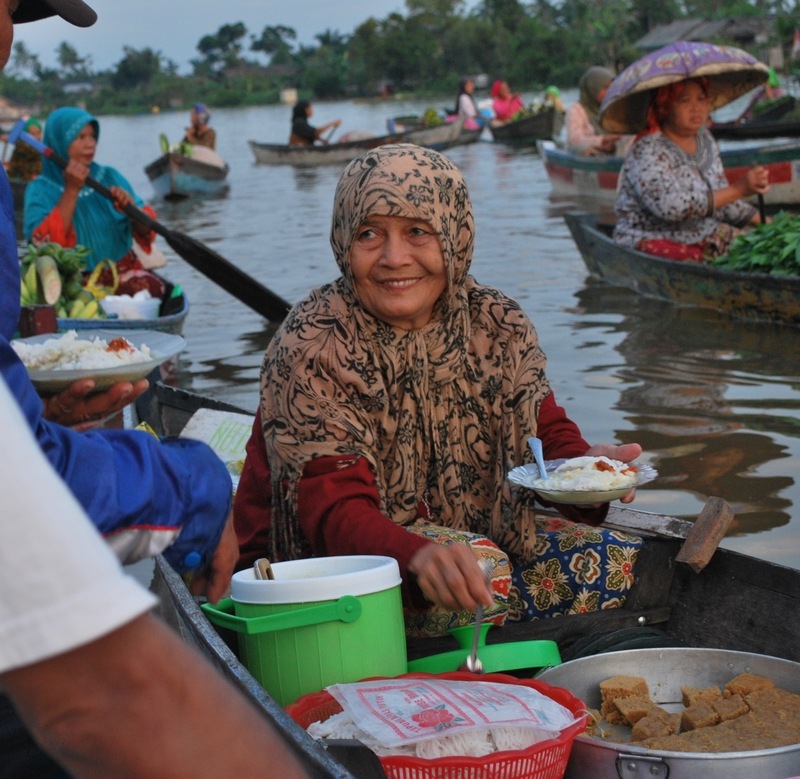 We only had a day there and as the city is based on a river we wanted to do some exploring by boat to see what promised to be more authentic floating markets and the floating villages around the city. We decided to head out for some food and on our way out we realised that Tailah was waiting for us in reception – this guy was keen! We chatted for a bit and decided to visit the floating markets with him in the morning – meeting at 5AM – and to go out with him again at 4PM to see the floating villages. We said our goodbyes, had some tasty street food and then an early night ahead of our 5AM start. This market was the Indonesian equivalent of Costco. The buyers would fill an entire boat full of whatever produce they specialised in, from fruit and vegetables, to fish and firewood, to sell on in their local area and the sellers left with an empty boat – this wasn’t for daily grocery shopping! After an hour or so just watching the action it was time to head back to Banjarmasin town. 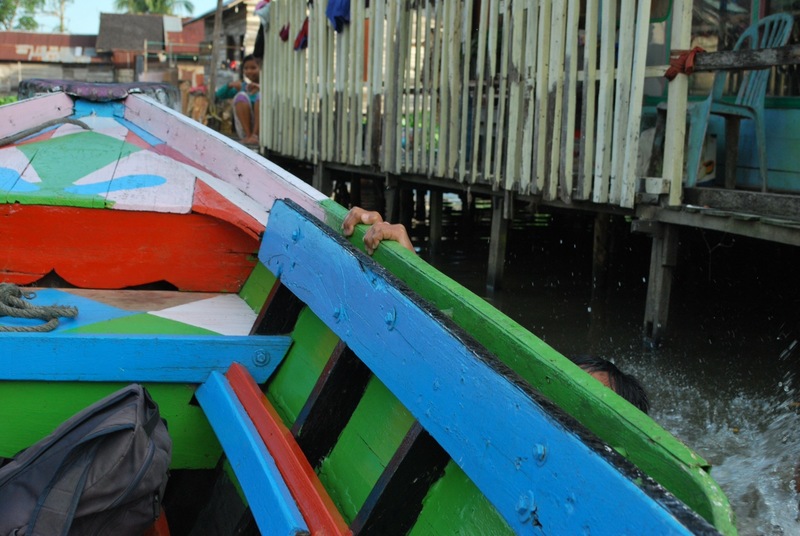 That afternoon we met Tailah and our friendly boat driver again and set off to see the floating villages. We took a sharp turn off the large river and realised this would be a boat tour with a difference when we had to lie down flat on the bottom of the boat in order to pass under one of the very low bridges connecting the floating villages. We emerged on the other side of the bridge and we were in another world. Tiny wooden houses were lined up either side of a narrow canal. 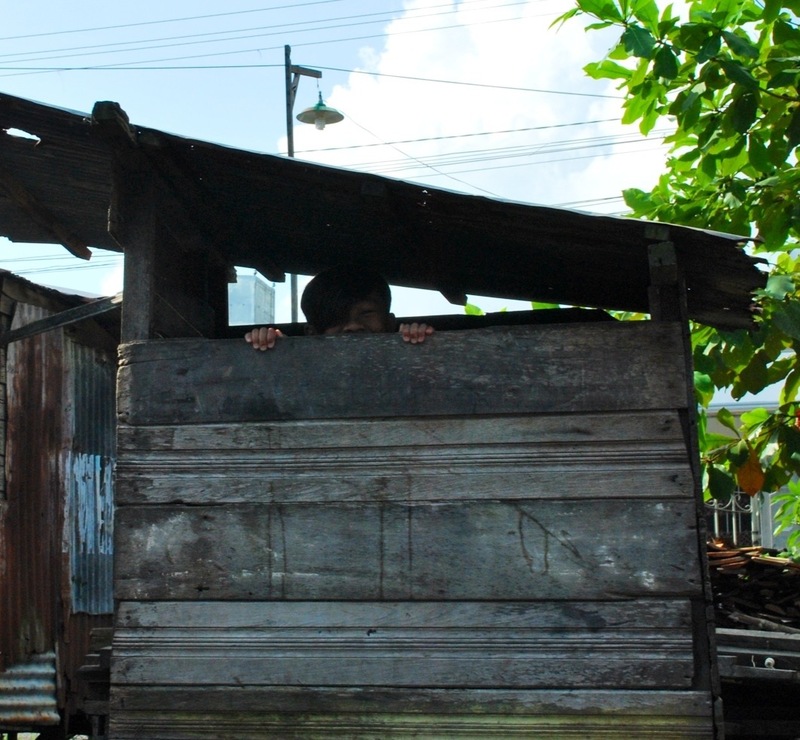 Lots of little wooden outhouse toilets were built at the edge of the river (apparently there are over 10,000 in total throughout the area) for communal use – all of them deposit the sewage straight in to the water the villagers use for washing. Thankfully the government has installed a safe drinking water supply, a big blue pipe runs throughout the villages providing safe water for everybody. 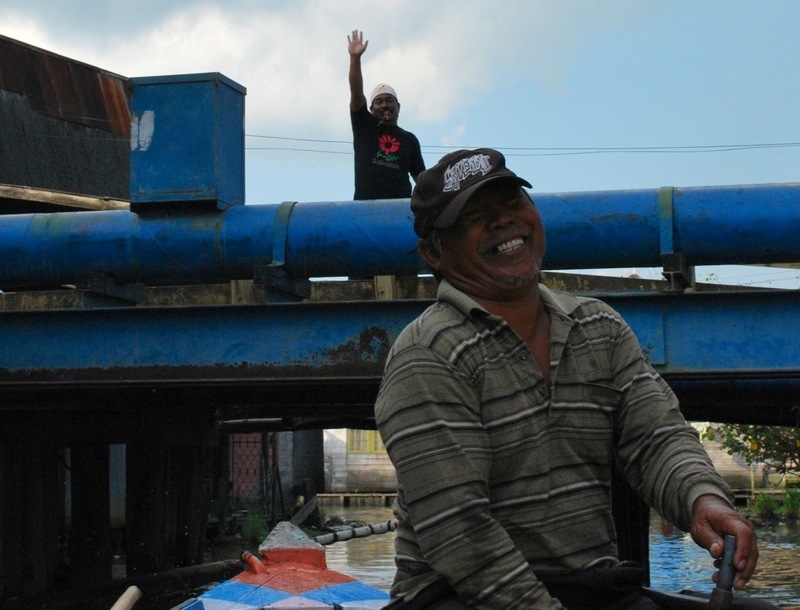 Eventually we turned back on to the main river and left the floating villages behind, lying down in the boat to pass under one last low bridge. The day had been incredibly interesting with a bit of sadness and a lot of happiness thrown in. 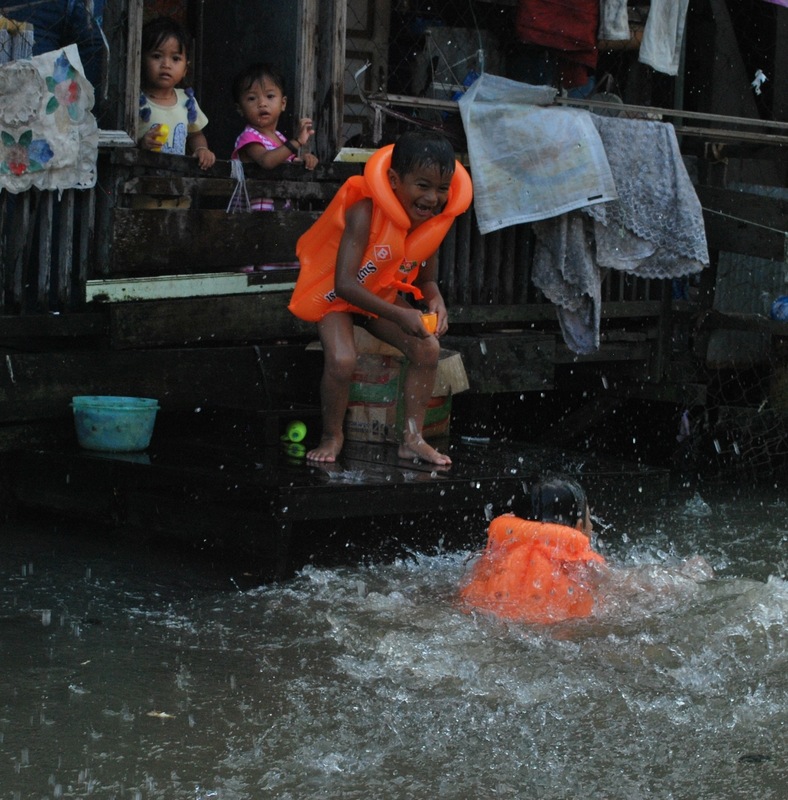 Living conditions were definitely poor in the floating villages, but the entire community seemed full of happiness and energy and I won’t forget the smiles we were given for a long long time. 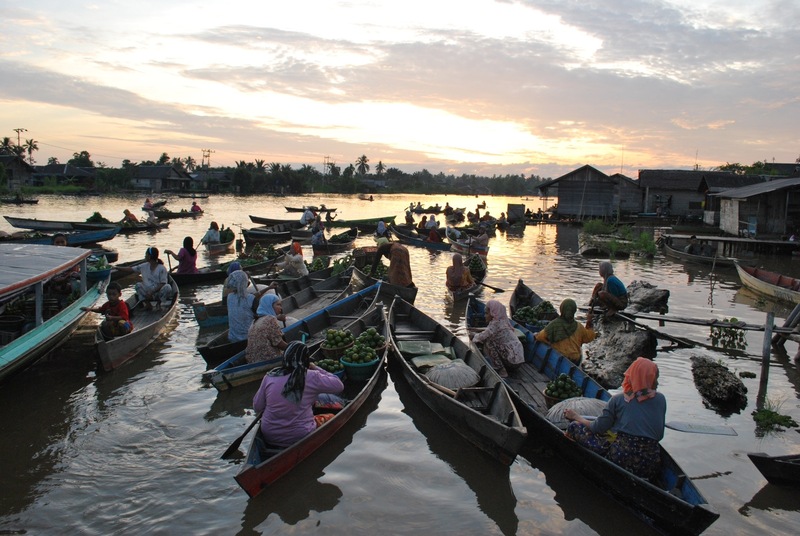 Banjarmasin had so much more to offer than we first realised. The next day we flew to Surabaya for one night before making our way to Ubud on Bali. Did you met mr. Tailah in your hotel in Banjarmasin? Was the trekking slippery? it was he who met us in our hotel (hotel Roditha Banjarmasin). But I guess you could ask everyone in Banjarmasin for contacting Tailah because he is well known there. The trekking was absolutely awsome and sometimes it was slippery. My advise: Dont`t miss it and contact Tailah via Mail or phone.